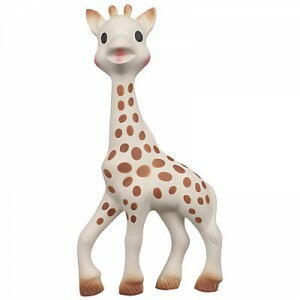 Sophie la Giraffe was launched in France in 1961 and is now one of the most famous and loved baby teethers in the world! The toy has achieved cult status in France with more sold in 2010 than babies born!! Now famous worldwide, over 30 million giraffe’s have helped sooth teething babies gums. Every Sophie is hand made from natural rubber and painted with non-toxic paint which makes them ideal for teething babies. They also squeak when squeezed. This competition has ended. Enter our freee Xmas Toy Prize draw here! Deadline for entries is 14 November 2013. 23:59pm. This competition is subject to terms and conditions which can be found here.